I’ve never thought I would find a place in Cebu that I’d love to call a second home. With its blue and white colors and spectacular views, Kandugyap House By The Sea has stolen a piece of my heart. So let me share a bit about this house. Kandugyap is a local term that translates to ‘house by the sea’. Kudos to the owners, this accommodation truly lives up to its name. You’ll get a pretty great view of the sea from here since it’s just a few feet away or should I say it’s literally by the sea? Hmm. This place is a family home that was turned into a resort. It’s also called Villa Dolores which was named after the owner. It is designed by one of the well-known architects in the area and was given an Afro-Mediterranean style which quite fits its surroundings. From our two days, one night stay in this lovely place, I’ve come to write this short review of the place. I’ll try to give the place justice but if not, I’ll just let you look at the photos. Nyehehehe. Kandugyap House By The Sea is located in Bantayan Island in Cebu. It’s quite far from the port so you’ll need to ride a tricycle to go get here and ride a tricycle to the main market. It’s near some of the tourist spots on the island including Ogtong Cave and the Cliff. Kandugyap boasts of three accommodations for rent. Upon checking in, you’ll also be provided with a set of towels, soaps, shampoos and bottled waters. The refrigerator is also stocked with a few drinks. Kandugyap House By The Sea has a big pool that’s 4 meters deep and a smaller pool that’s perfect for kids. A few feet away is a private beach. Too bad it was the habagat season (rainy season around May to October) when we went so there were tons of seaweeds by the beach and there were only a few sands (does that make sense?). The best time to go here would be during the amihan season (dry season around November to April). After our trip to Kalanggaman and Malapascua Island, we decided to check out Bantayan Island and stay in Kandugyap. I’d say that the highlight of our vacation in Bantayan Island is Kandugyap. Its isolated location provided us the opportunity to enjoy the serene surroundings. When we went there, there was another couple who booked the room beside ours. So there was only the four of us in the whole resort apart from the staffs. If you’re lucky, you might have the place all to yourself when you book. I loved the privacy of the place. Who wouldn’t want to stay in a resort that’s pretty? I had a bit of a hard time choosing where to stay though. The inside of the room is beautiful, as well as, the outside. It’s hard to choose between the two. 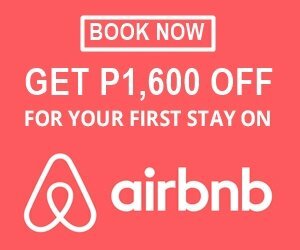 Book a flight to Cebu. Upon arriving in Cebu, ride a bus at the North Terminal heading to Hagnaya Port. From Hagnaya, ride the Super Ferry Service going to Santa Fe. Inform Kandugyap before your travel so they can arrange a tricycle trip to bring you from the port to Kandugyap House by The Sea. If not, you can also rent a tricycle going there. Go island hopping for only P1,000 and visit Hilantagaan and Virgin island. Rent a motorcycle at P250 per person or a bike for P150 per person and get lost in Bantayan Island. Swim in the resort’s pools. Get a massage from the resort’s staffs for P300. Sit on the wooden chairs and enjoy the view. Go on a land tour. Rates vary from P500- P1,000 depending on the places you want to visit. Rent a kayak for P400 for a minimum of 3 hours or a stand up paddle board for P500 per hour. Buy ingredients at the market and ask the staff to cook it for you. Order from Kandugyap. Just ask them for the menu and order. They order from a nearby restaurant. For all-day breakfast, they charge P160 per person. The roads in Bantayan island are narrow. The locals use tricycles, bikes, and motorbikes to get around. There are only a few private cars on the island. Most, if not all of these, are small. You can rent a bike or a motorbike to go around the island. If you don’t know how to use one of these, you can always opt for a tricycle. Kandugyap has a tricycle that you can rent to bring you anywhere on the island. Did you like the article? Do give Wanderera a like and a follow on Facebook and Instagram.